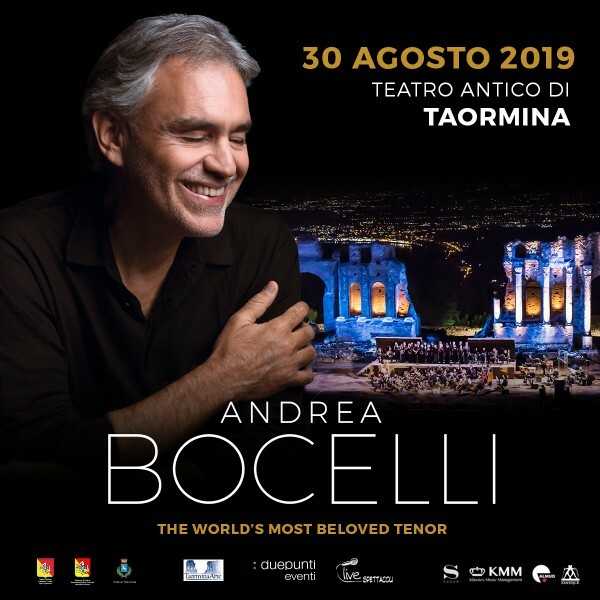 Andrea Bocelli, one of the most popular and well-known voices in the world, will be at the Greek Theatre in Taormina on August 30th 2019. The Italian singer will perform the most famous opera arias and in his most famous hits, accompanied by soprano voice and some guest stars that will be announced soon. Andrea Bocelli's first album of all-new material in 14 years, "Si", contains a new track co-written by Ed Sheeran and Tiziano Ferro, "Amo Soltanto Te," as well as duets with Dua Lipa, fellow contemporary classical star Josh Groban and soprano Aida Garifullina.